We are once again with Dark Horse for my most recent pick. I am feeling there is something about the publisher that allows its books to slip below our immediate purchase radars. In this case I became aware of the book as it was announced, being a long time admirer of the artist Dean Ormston, but I laid off buying in the hopes it would make a good choice for the group! As it turns out it was only Dan who also knew of it and although he initially seemed excited at the choice his review was mostly a downer. The cover especially he called a nightmare (above left), and not in the way you would want a horror artist like Ormston’s work to be perceived! I think he was over-reacting personally, as although it lacks the punch of some of the series’ later covers I don’t honestly see the problem. The back-matter of the book gave us a bit of an insight into the book’s art though, it turns out Dean had a stroke after completing the first issue and it took him a year to get back on track. Whether this had a detrimental effect on his drawing is to be perceived by the reader but in Dan’s case he was thinking of early 2000 AD painted work and felt this was not the artist he remembered (above right, a page from Harke & Burr). In fact, I’m surprised Dan ever thought he would enjoy this book, as writer Jeff Lemire is not his cup of tea either. He said he was bored to tears by breakout Vertigo book Sweet Tooth, and this was just more Americana. 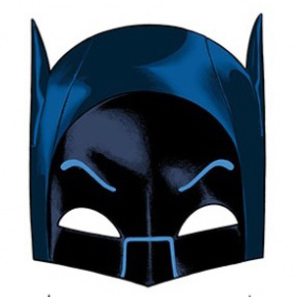 Kelvin dug the way the series pulled established superhero character tropes together in a new pastiche and became more absorbed in the story than he expected he would be. The series stars a Captain America, a Mary Marvel, what I believe to be an amalgam of both Adam & Doctor Strange, Madame Zanadu, The Martian Manhunter and an android in the tradition of Vision and The Tornado. 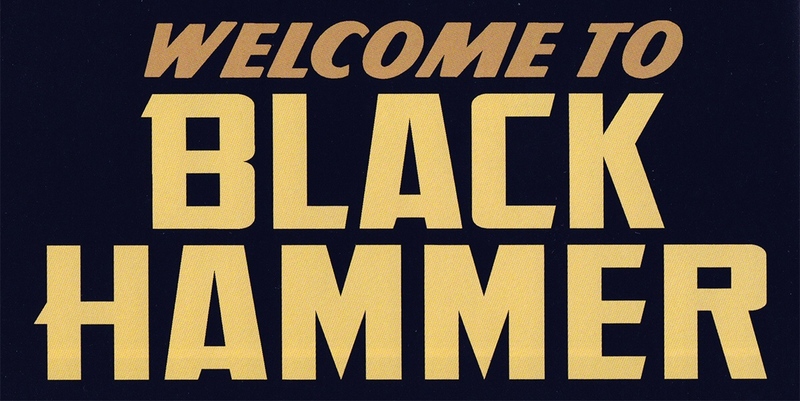 Finally, the titular Black Hammer takes his roots from Thor and the creations of Jack Kirby. We all loved Gail, the character who mirrors the Billy Batson / Shazam / Mary Marvel legacy character, her brattish behavior giving the series great comedy. Kelvin observed that the characters formed a dysfunctional family, with the de facto head and lead character Abe trying to tell everyone to act as normal as he appears to be- but that is impossible in an inverted world like the one seen in this story. In contrast to Dan, Jake is big into Lemire, namechecking Essex County, Underwater Welder and Sweet Tooth as particular favourites. 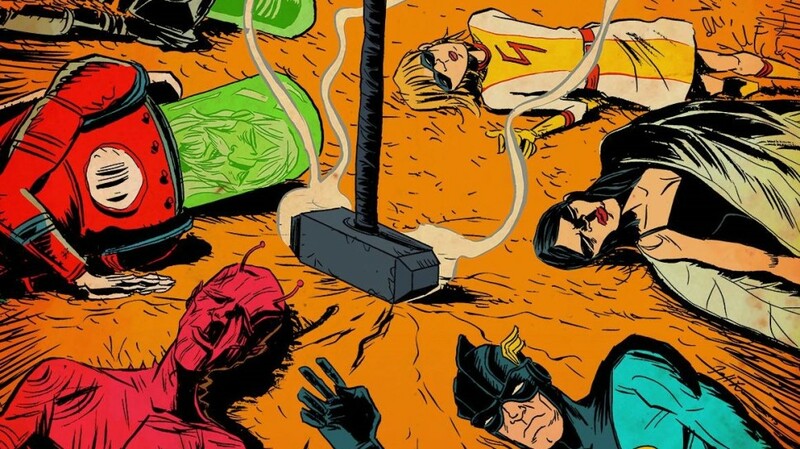 But he was less aware of each of the Black Hammer character’s sources. 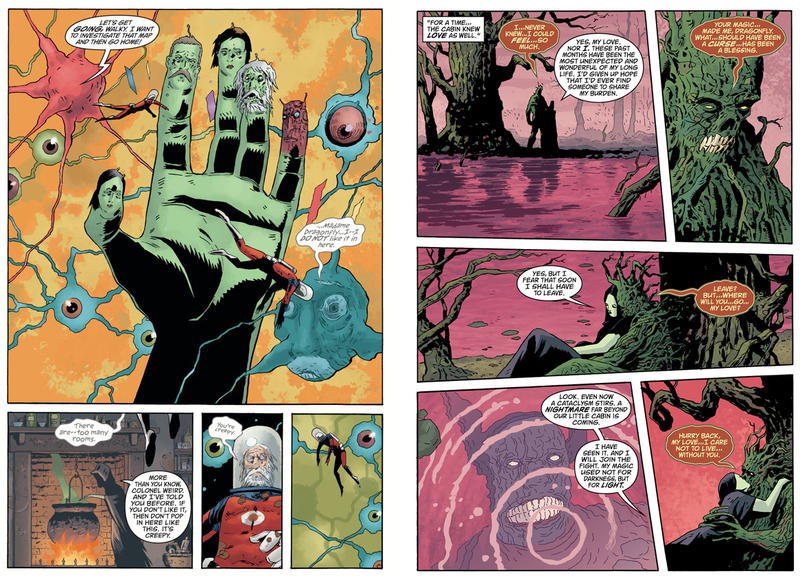 He was worried Lemire might be trying to do too much at once with quite so many ideas whirling around, handling each character’s origin in five or so pages made it all so synopsyssy. There are some huge themes handled in the Colonel Weird and Madame Butterfly chapters and some of the subtext passed me by. This book is just the beginning of the story and we all wondered just how long it was planned to go. 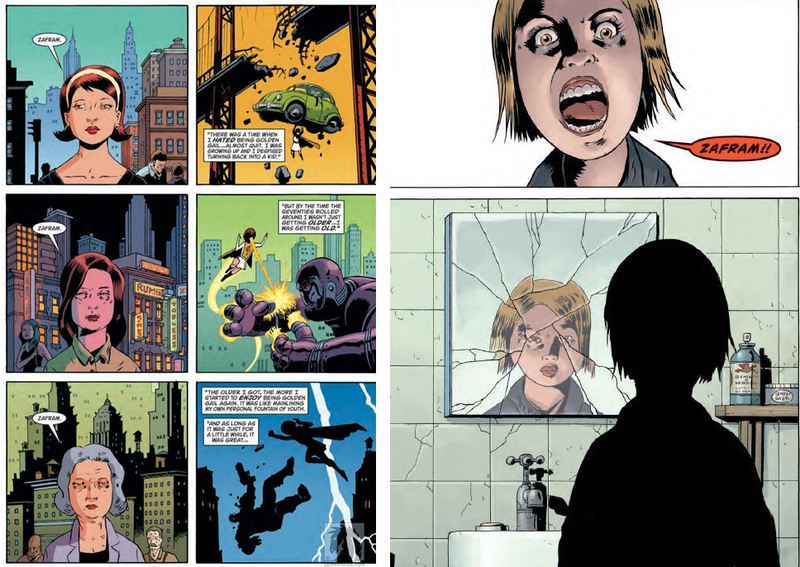 Some of Lemire’s work tends to build small and only in the long game pan out to a truly exceptional story. 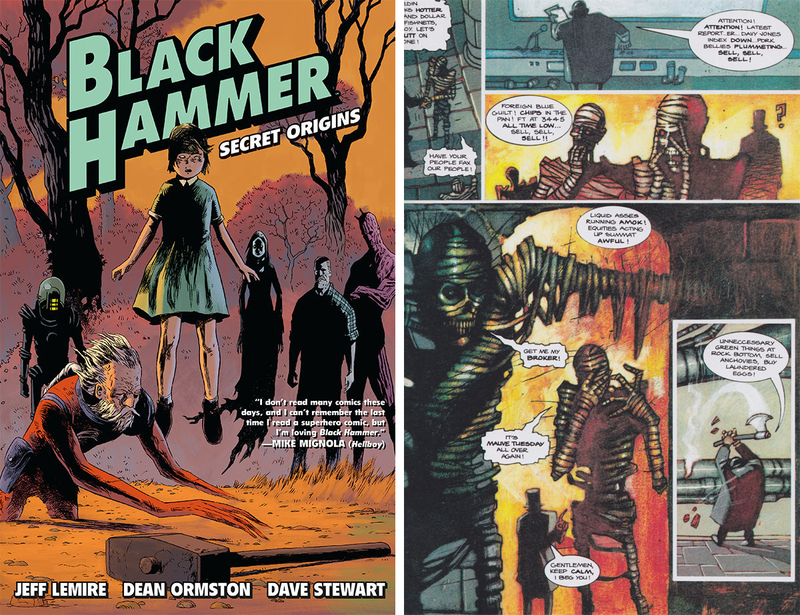 Black Hammer was more than enough to keep me entertained though, and I enjoyed both the moody, autumnal art and the strong character writing. The idea of taking established superheroes and filing off the registration plate has been done quite a bit but this book has a unique enough voice to stand out. My disappointment in my pick was that we only got so far into the world of the characters, and for this book club I want to feel we get a complete story to review and feel satisfied with even if we don’t enjoy it.